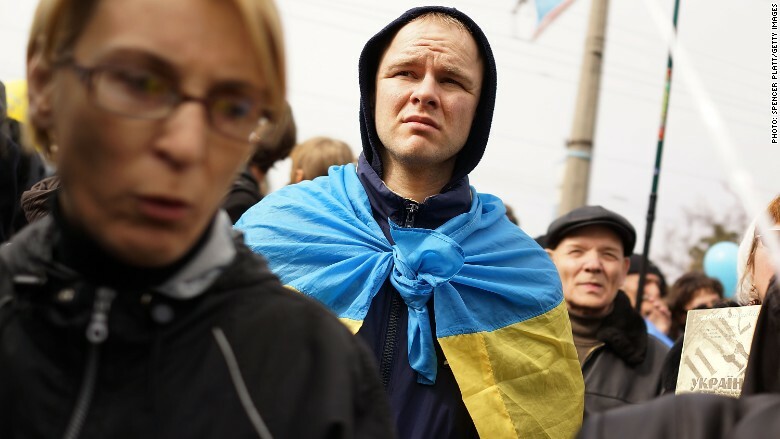 Ukraine is on the brink of economic collapse. Its central bank raised benchmark interest rates from 19.5% to 30% effective Wednesday. Ukraine's currency, the hryvnia, has lost nearly 70% of its value against the dollar in just a year. GDP shrank by 7% in 2014. And while the war-torn country secured a $40 billion international bailout package in February, the chances of recovery any time soon are small. 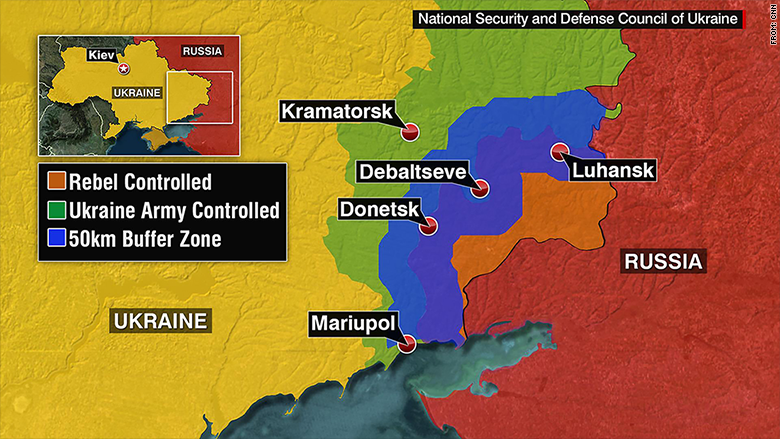 Ukraine has been battling Russia-backed separatists in the eastern part of the country for the past year. The fighting has contributed to the ravaged state of the economy. Corruption is draining Ukraine's economy -- or what's left of it. Ukraine ranks 142 of 175 on the Transparency International list of most corrupt countries. Even the government admits the situation is bad. Ukrainian Prime Minister Arseniy Yatsenyuk said the government loses around $10 billion every year through graft. The International Monetary Fund agreed last month to provide a new $17.5 billion emergency lifeline for Ukraine, demanding economic reforms in exchange for its money. The government passed the first batch of reforms this week, including gas price hikes and pension cuts. It also needs to cut its debt, currently at 100% of GDP. But the IMF-required reforms are hugely unpopular in Ukraine. "If Ukraine continues with the reform program, it can overcome the difficulties," emerging markets economist Liza Ermolenko said, adding this is not the first time Ukraine's government has tried to reform its economy. "But more protests could force the government to step back. It has happened before," she said. Related: Are more sanctions looming for Russia? Ukraine's banking sector is one of the weakest parts of the economy. The key interest rates are the highest in 15 years, and experts estimate bad loans make up between one third and one half of all banking assets. Over 40 banks have been declared bankrupt since the war began, with the country's fourth largest lender, Delta Bank, going under earlier this week. The Donbass region was once the heartland of Ukrainian heavy industry. It's now among the areas hardest hit by the conflict. Nearly all steel production, one of the major drivers of Ukraine's exports, is based in the east, as is a huge chunk of its mining and energy sector. Ukraine's industrial output dropped more than 10% in 2014, as the war forced mines to shut and cut off factories from supplies. The forecasts for this year are little better. GDP is expected to slide a further 5% in 2015. The collapse was long in the making. Like many former Communist countries, Ukraine was not designed to function independently of the rest of the Soviet Union. For more than a decade after the breakup of the Russia-led bloc, Ukraine struggled with hyperinflation and low productivity. The country has never managed to transition properly from the Soviet model, unlike other countries with similar histories. "GDP per capita is actually below the 1992 levels," Ermolenko said. The struggling economy is as much a cause as a consequence of the conflict. Ukraine was in recession for five consecutive quarters before protesters toppled the previous pro-Moscow government in February 2014, an event that ultimately led to the civil war.